В магазине Алисы (героини произведений Льюиса Кэрролла), Оксфорд. Opposite Christ Church, Oxford, England, is Alice's Shop on St Aldate's. It was formerly frequented in Victorian times by Alice Liddell, the inspiration for Alice's Adventures in Wonderland and Through the Looking-Glass and What Alice Saw There, who used to buy sweets there. She lived at Christ Church with her father Henry Liddell, who was Dean of the College and Cathedral. 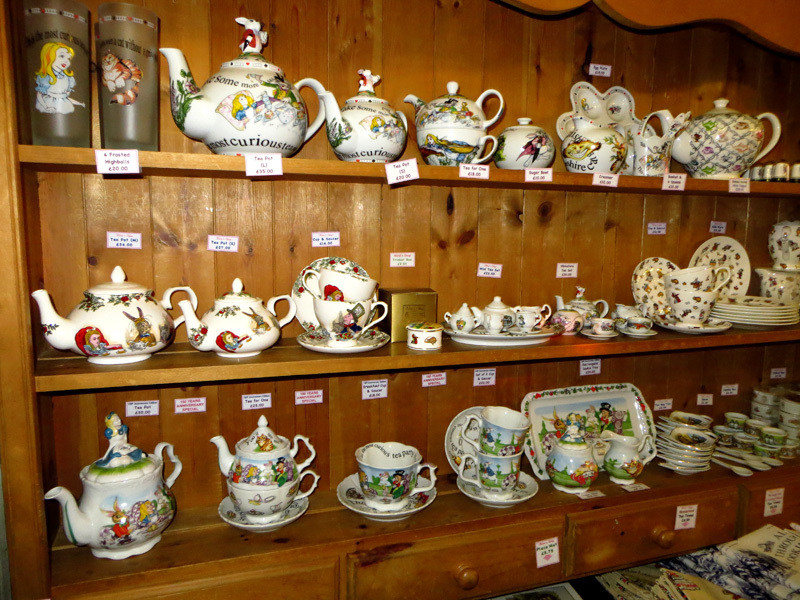 Alice's Shop is now a gift shop selling gifts, souvenirs and memorabilia all based on Alice. The address of the shop in Oxford is 83 St Aldates Oxford OX1 1RA.